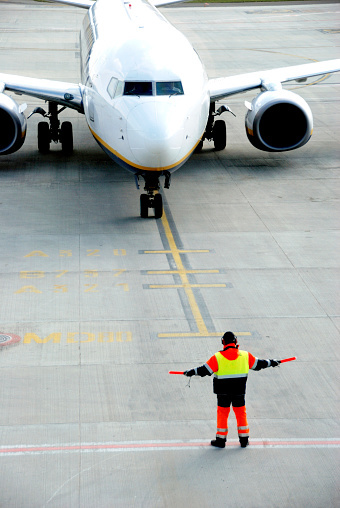 Most airport employees must have an airside pass, which is provided to workers who have access to the service area of an airport. These staff might have direct access to the planes themselves, but also duty-free staff, cleaners and administration teams, in fact any staff working beyond the security barrier of an airport must carry either an identification card or an electronic key fob. Any companies working within an airport must be able to prove that all their staff are who they say they are and don’t have a criminal record which might prohibit them from working in an airport setting. Background screening for airside passes involves standard right to work checks to ensure that all staff have the right to work in the UK. Previous address checks are carried out to check that workers are living where they say they are and can prove their location of residence for the last five years. Employment history checks will ascertain workers previous employment and any gaps in employment will be identified and investigated to ensure that the worker has the experience and/or skills they say they have. In addition, DBS criminal history checks will highlight any potential criminal convictions which could prohibit them from working in an airport or having access to transport. Convictions such as terrorism offences, immigration or customs offences or offences which put integrity or trustworthiness into question, will all influence whether a candidate is able to obtain an airside pass. Other offences involving sexual misconduct, theft, controlled substances, firearms, public order offences and criminal damage will also disqualify a candidate from working airside. The heightened threat level to the UK from terrorists has resulted in a growing urgency for safety around UK airports. Ensuring that candidates are thoroughly screened in order to obtain an airside pass is of paramount importance to security within the air travel industry. Using a specialist screening provider will ensure robust screening practices for all your employees.